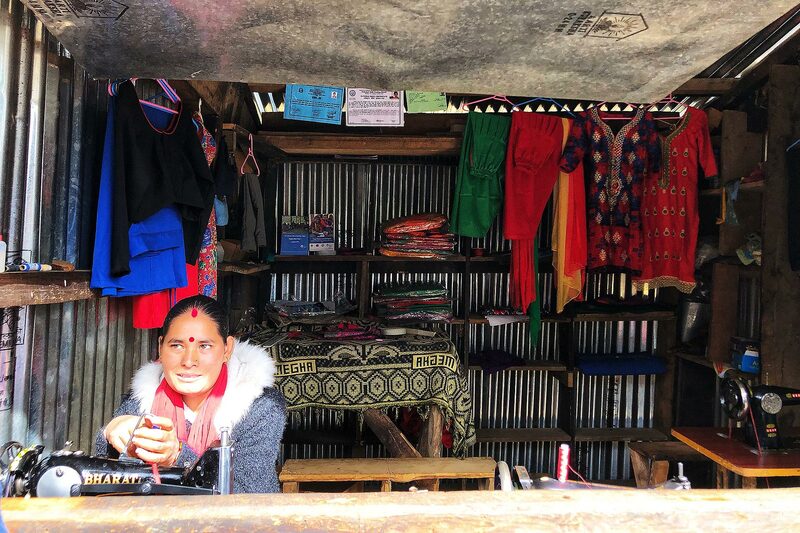 LWI - In a country with more than 450 rural municipalities, election as a local government representative in Nepal might not be considered a huge feat but not so for Ms Kausilya Damai. In a few months, she will mark two years since becoming a local government member of the Nawadurga Rural Municipality in the mountainous western region. Born in 1968 to a bonded-laborer (Haliya) family in Nawadurga village, Dadeldhura district, interaction with those outside her group was strictly prohibited. Like her age mates, she was 10 years old when she started working for the owner of the land on which her family eked out a living. That is when she started realizing the inequalities between the laborers and landowners. She was in her late teens when she learned about The Lutheran World Federation (LWF), one of the organizations hosting meetings in the village to raise awareness about the rights of marginalized groups like the Haliya. “Suffering from triple discrimination (being Dalit, Haliya and female) and exploitation, no group could be more disadvantaged than Haliya women,” she recalls. The LWF Nepal country program provided training on the rights of bonded laborers and offered skills to start up livelihood activities through the Haliya Federation, of which Damai was a member. “LWF’s advocacy programs really helped me to strengthen my understanding of the situation and how I could support the movement in bringing change. It invoked in me a dream that someday I would be elected into government and fight for my people’s rights from a position of influence,” adds Damai. Her active involvement saw her elected district chairperson of the federation’s savings and credit group for women when she was only 21. LWF’s advocacy programs really helped me to strengthen my understanding of the situation and how I could support the movement in bringing change. It invoked in me a dream that someday I would be elected into government and fight for my people’s rights from a position of influence. In May 2017, at the age of 49, Damai was elected to serve in the local government of Nawadurga alongside 125 other Haliyas. “With all the odds stacked against us, this achievement for me and others, was proof that there is always hope – even in the most hopeless of situations,” Damai says. 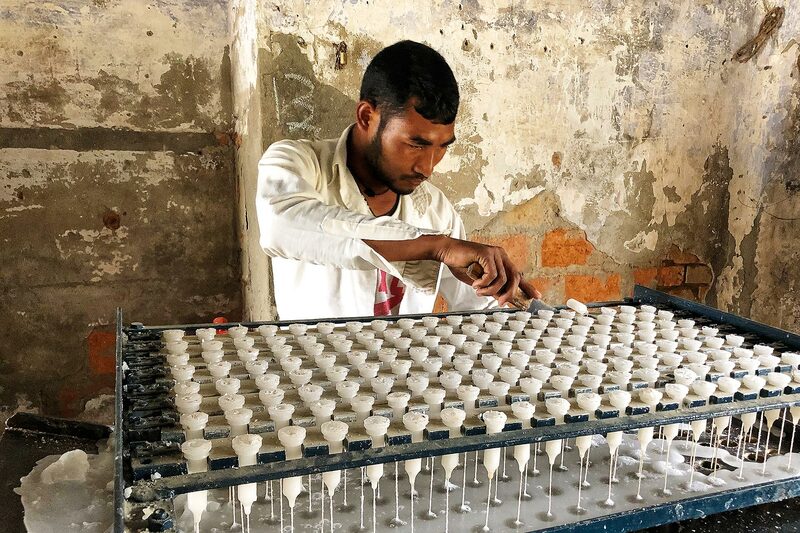 Until its official abolishment by the Nepalese government in September 2008, the bonded labor system among the Haliyas and other Dalits (the lowest of the lowest in the caste system) had existed for centuries. It was applied in three forms: excessive hours of work, labor service from all family members including children, and never-ending indebtedness for basic needs. “The practice was, needless to say, inhumane and an extreme violation of human rights,” says LWF country representative, Dr Prabin Manandhar. Although statistics vary about their exact numbers, the International Dalit Solidarity Network, noted the government’s decision meant freedom for an estimated 20,000 Haliyas. Manandhar says however that outlawing the practice has not ended the Haliyas’ struggle for their rights. The process is often fraught with serious challenges including lack of proper legislation on rehabilitation processes and reaching all those affected. “Freedom can be a daunting prospect especially for those who have not had it previously and integrating back into society requires constant and consistent support,” he adds. The LWF country program has been supporting marginalized and disadvantaged communities in Nepal since 1984. Its activities ranging from emergency preparedness, sustainable livelihoods to promoting human rights reach more than 83,000 people each year. In 2018, LWF Nepal worked with 4,355 freed Haliya, out who 58 percent were women. In 2018 women comprised 58 percent of the freed bonded laborers that the LWF supported in Western Nepal. LWF’s programs for Haliyas are funded by ELCA and FELM.